A tri-nation deal has been signed to protect 220,000 square kilometres of rainforest on the island of Borneo. 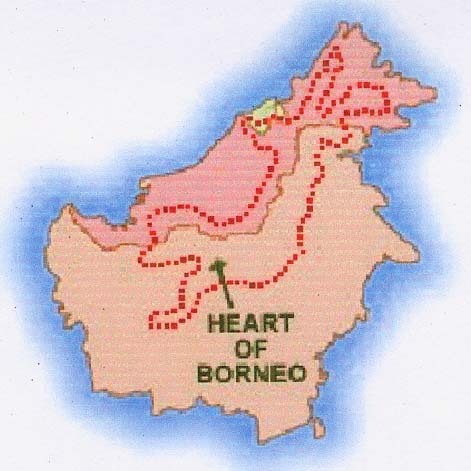 Malaysia, Indonesia and Brunei Darussalam pledged to protect the area, known as the "Heart of Borneo". It is considered one of the most important sites of biodiversity in the world, home to thousands of species. It is threatened by plantation and logging companies, as well as farmers, and researchers say half of the original forest has already been lost. 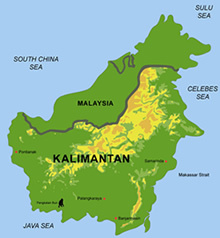 The agreement, known as the Heart of Borneo declaration, aims to put an end to this, and protect an area prized by conservationists. But the BBC's Lucy Williamson in Jakarta says the declaration is more a statement of intent rather than a commitment to concrete actions. A senior official at Indonesia's Forestry Ministry told the BBC that his government was committed to increasing conservation areas and to encouraging local farmers and companies to work in an environmentally friendly manner. But he admitted that only a few of those breaking the rules were ever caught and that the government was prepared to encourage, rather than enforce, change. Plantation and logging companies are an important source of revenue in the region, and planned industrial expansion by the Indonesian government is unlikely to bolster conservation plans, our correspondent says.